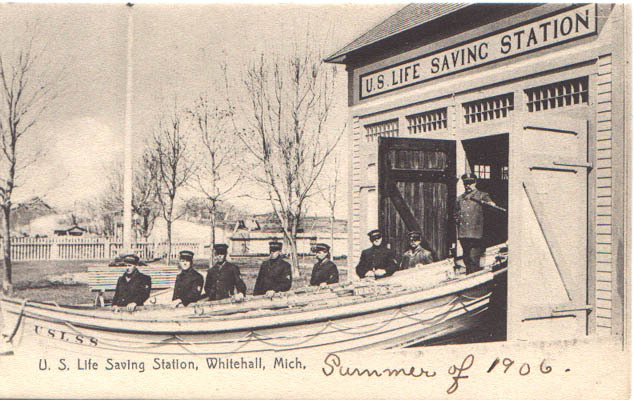 The White River life saving station circa 1930. Charles Lysaght was appointed keeper on 11 JAN 1887 and transferred to Station Grand Point Au Sable on 1 MAR 1904. Berndt Jackson was appointed keeper on 16 NOV 1903 and transferred to Station Ludington on 7 NOV 1905. Edwin E. Bedford was appointed keeper on 26 OCT 1905 and transferred to Station Point Betsie on 10 JUL 1908. Henry Curran was appointed keeper on 2 JUL 1908 and was still serving in 1915. 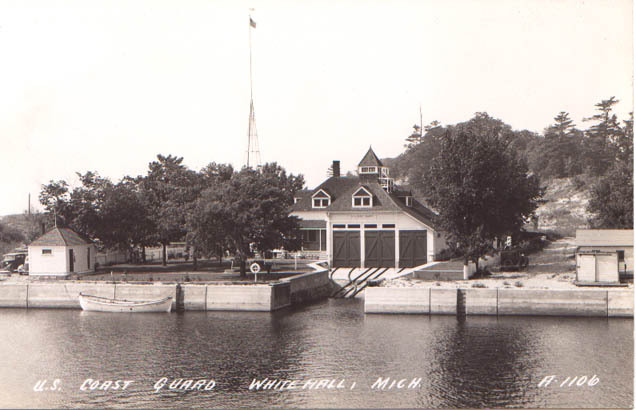 Coast Guard Station White River was located in Montague, Muskegon County, Michigan. The station was established by an Act of Congress on May 4, 1882. It was officially opened on March 14, 1887 when the first Keeper was appointed. The first crew arrived on April 21, 1887. The land, which had been acquired by donation in 1914, was abandoned in March of 1946. Sometime thereafter, the station building was moved a couple of hundred feet away to a plot of land and has remained there ever since. 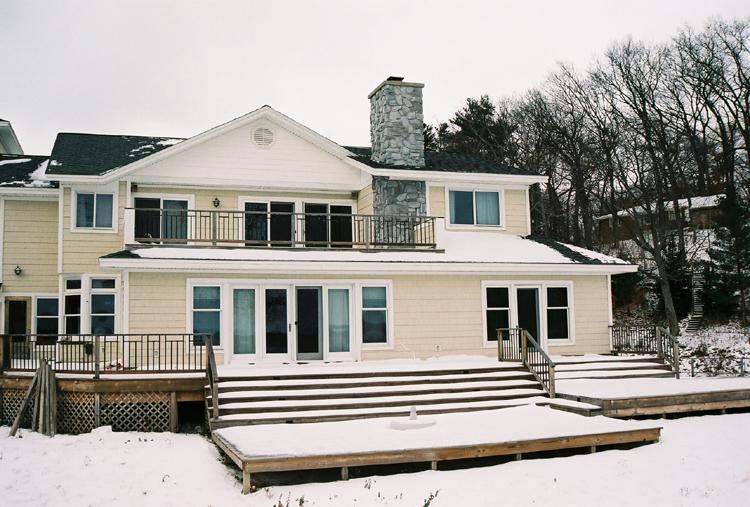 Below are photos taken in November of 2005 after the old station saw a major renovation. We do not know how much original material exists anymore under all of the new modifications and siding, but we are thinking only a scarce few original building components are left underneath. It is really to bad that this station has stood for over a hundred years now and the historic significance is lost to a major renovation like this. We do not know if the current owners even know the history of the building or its past, but only education can prevent this from happening to other stations for the so few original 1800 era stations we have left. 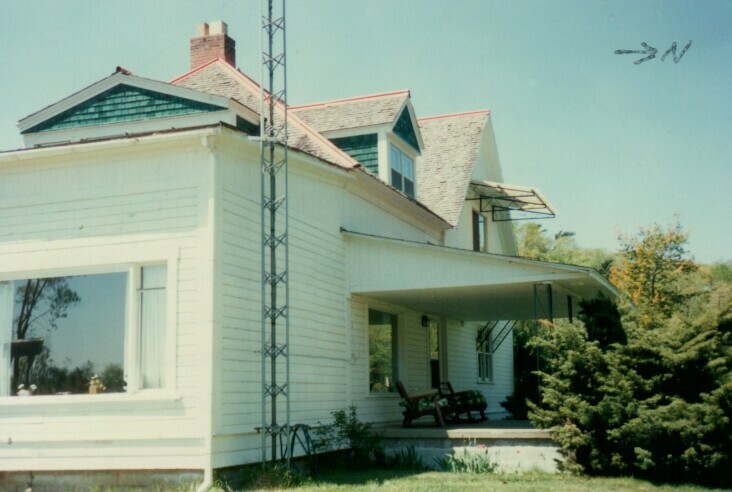 This was the only original example left in Michigan of this station type and it is now gone. 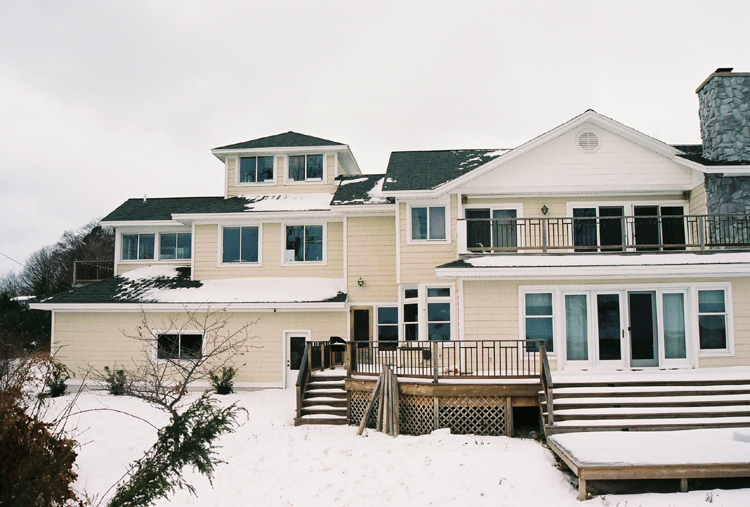 For anyone wishing to visit the site, it is located at 7211 Life Guard Road. If anyone has any photos of the station other than the ones pictured here please e-mail us copies. We would like to document the changes over the years. Any photos from between 1945 and 2005 are welcome. 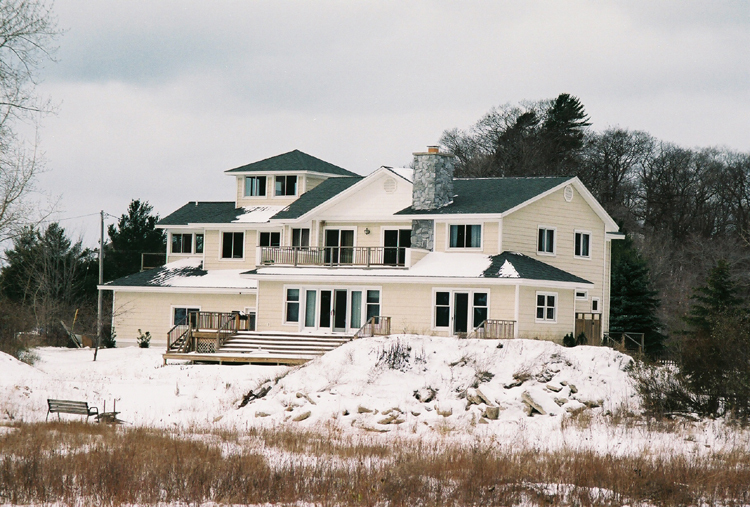 A photo of White River station after the 2005 major renovation from the water side. A close up of the front left side..
A close up of the front right side. 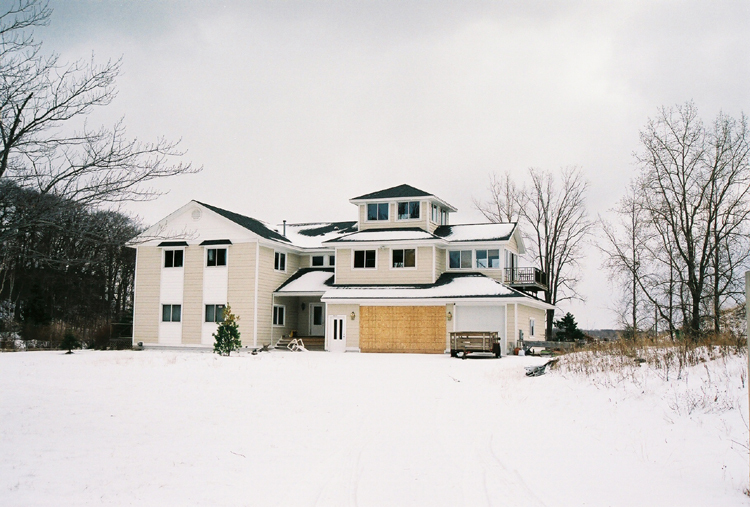 A photo of White River station from the road side. Note the garage door still boarded up with plywood as the renovations inside continue. 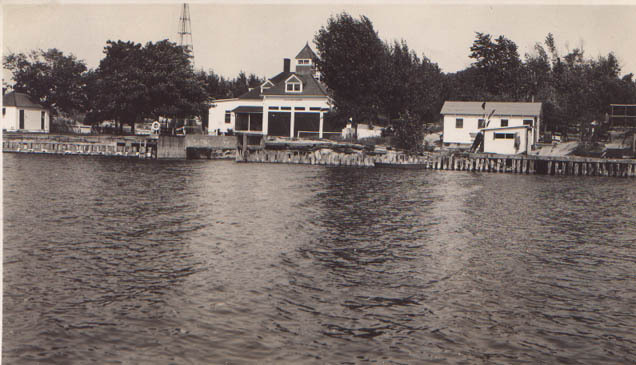 A photo of White River before a more modern seawall area was erected. A photo of the crew with the station keeper standing in the rear of the boat. 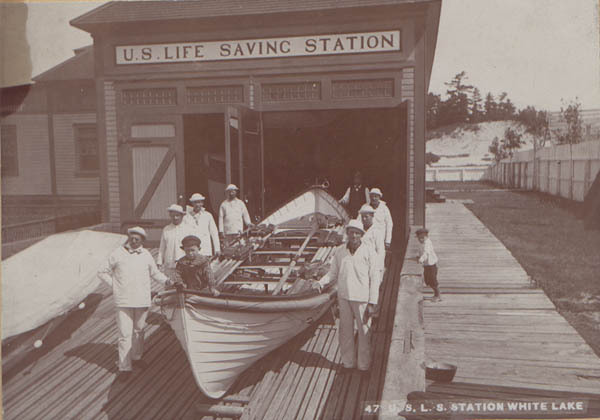 An original cabinet photograph of the White Lake crew in front of the station. Note the two small boys sitting in front of the boat and the one on the side of the boat. This is a photo of the White River station in 1985. 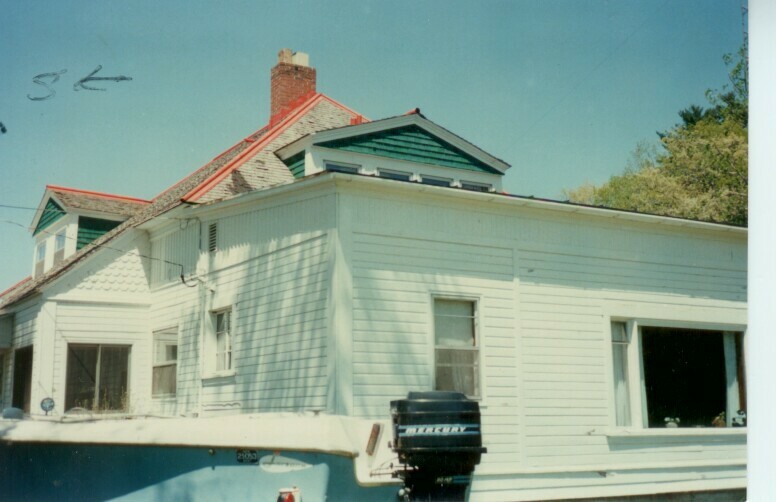 It still resembles a life saving station with some modifications to the dwelling. Someone wrote on this photo where North was. This view would be facing the road and would be the back side of the station opposite the water. This is another photo of the White River station in 1985. Someone wrote on this photo where South was. This view would be seen from the water and would have been the front of the station.